When presented with a four-day weekend, my wife and I made the decision to travel through Belgium–a short train ride from Paris. The cool-gray architecture and graffiti of Brussels had grabbed our attention on a train trip from Amsterdam several months prior. 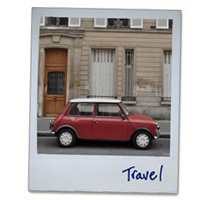 We selected three cities to visit—Brugge, Antwerp, and Brussels—and looked for a theme to tie the three popular tourist destinations. Whether from the French South or Flemish North, the Belgians are known for their beer, chocolate, and fries. Fearing the effects of continuous blood sugar spikes over four days, we quickly decided to avoid a chocolate tour of Belgium. And who wants to eat just fries? Beer it was, and successful we were. 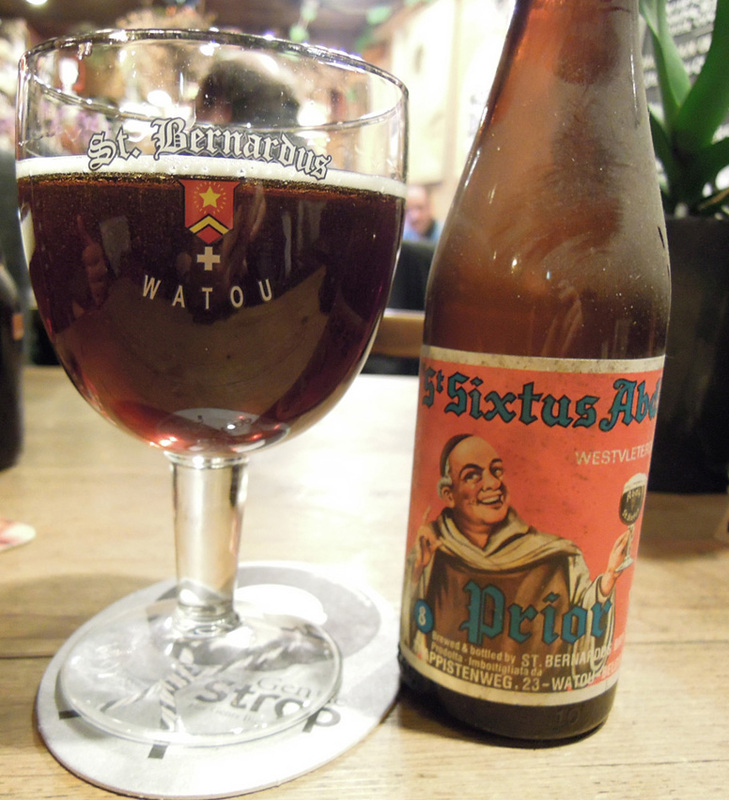 We tallied a total of 34 different Belgian beers over four days—from sour ales, to native IPA’s, to seven Trappist monastery brews. We even had time for some fries and a chocolate or four. We’ve assembled a beer-watchers field guide to help readers find their own Belgian suds: including measurements for each beer; a description of where that beer naturally occurs; tips to help users identify the beer, in bottle or glass, in the field; and notes on what they should expect when their quarry reaches the lips. I should warn readers that, like the $8 million nose of Dutch wine-maker Ilja Gort, my taste buds are insured by Lloyd’s of London, albeit for a slightly smaller amount: $3.70 (coincidentally the cost of postage to mail my policy). 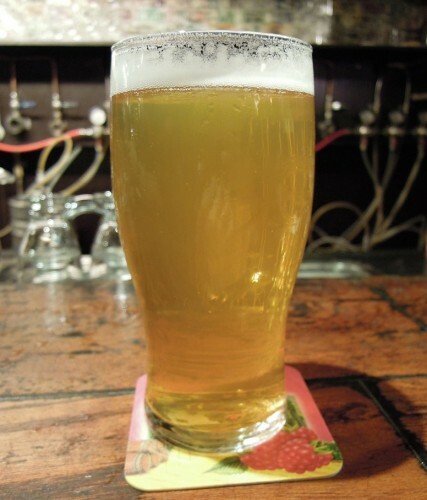 Consequently, readers should take our tasting notes with a pinch of hops and, if more informed descriptions are required, readers should scan the comments at www.beeradvocate.com. 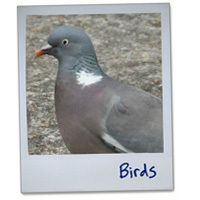 Many terms used in our field guide will be familiar to birdwatchers, but the content will hopefully be of interest to a wider population (although I read in the 2010 census that “beer drinking bird nerds” are a growing demographic). Here’s a glossary to help bridge the gap. Abundant: widely available for purchase at a variety of venues, from trains to corner stores. Common: likely to be encountered at least once on a long night out in an urban center. Uncommon: findable in areas with a high density of beer drinkers, though may provide a challenge. Rare: exists but will require specialized knowledge to find. Accidental: confirmed sightings may be sporadic, finding requires considerable luck and skill. A diverse family of beers, the ales vary in color from golden yellow to charcoal brown, and even one with pinkish plumage. These species represent a variety of tastes. For the purpose of identification in glass, these species have been arranged in order of coloration, light to dark. Range: Widespread and common in Belgium. Locally uncommon in other parts of the world. Status: Population strong and increasing. Field ID Marks: Opaque white bottle is diagnostic for the genus. The pink elephant—another shared attribute—is unmistakable. 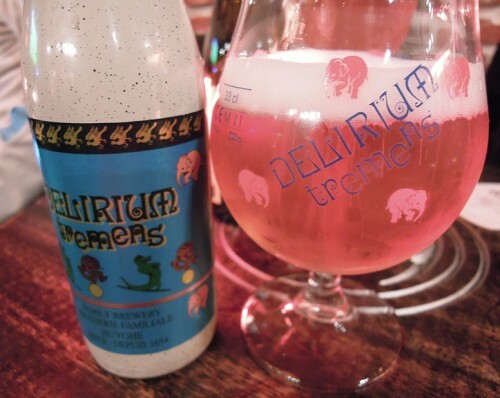 Description: One of the more common of the four species in the Delirium family, the Tremens will delight the tongue with sweet hops with a finish of tart raspberry. 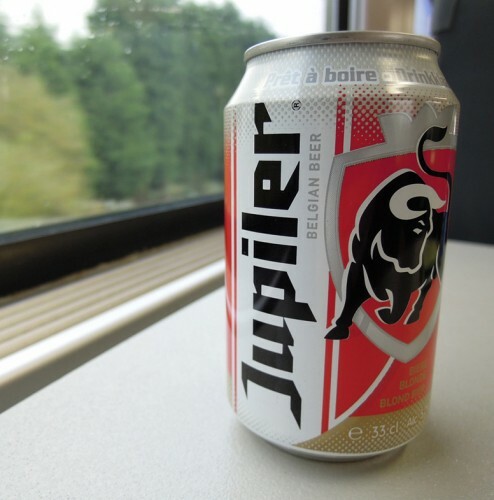 Range: Abundant throughout Belgium, especially train stations, corner stores, and domestic sporting events. Uncommon elsewhere. Status: Stable wherever students or down-and-out populations persist. Field ID Marks: Most commonly encountered with a shiny metallic exterior. Carcasses are frequently found amongst urban detritus. Expect bold red and black coloration; black bull diagnostic for the species. 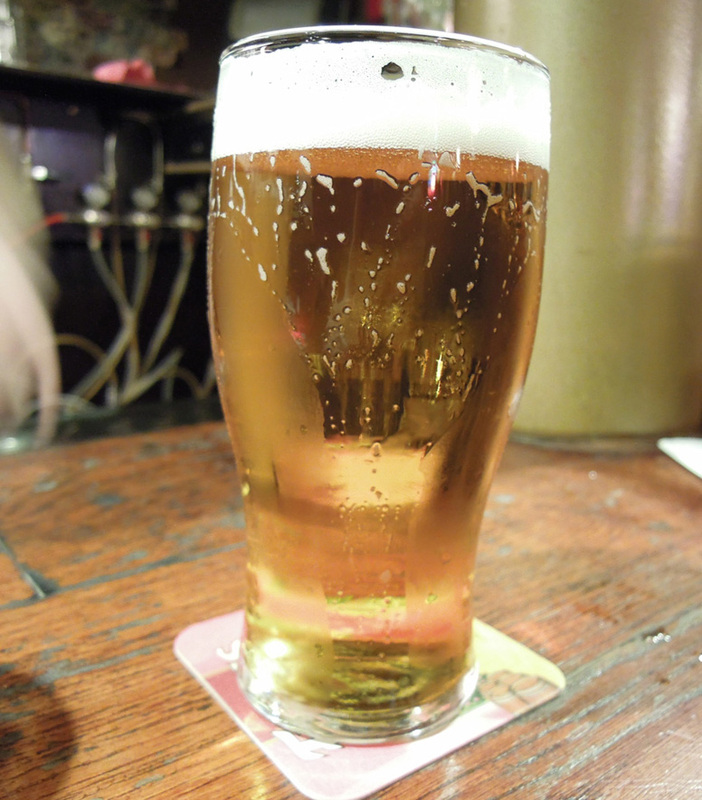 Description: A light European lager. 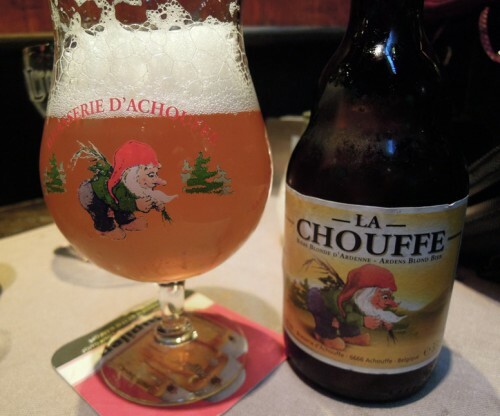 Tastes like a sour Budweiser, perhaps a good choice for those who taste buds are overwhelmed by the more flavorful options in Belgium. Range: Uncommon to common in Belgium. Rare in Europe, Asia, Australia, and North America. Status: Belgian population remains stable. International populations are increasing. Field ID Marks: Unremarkable brown bottle reveals gold details at close range. 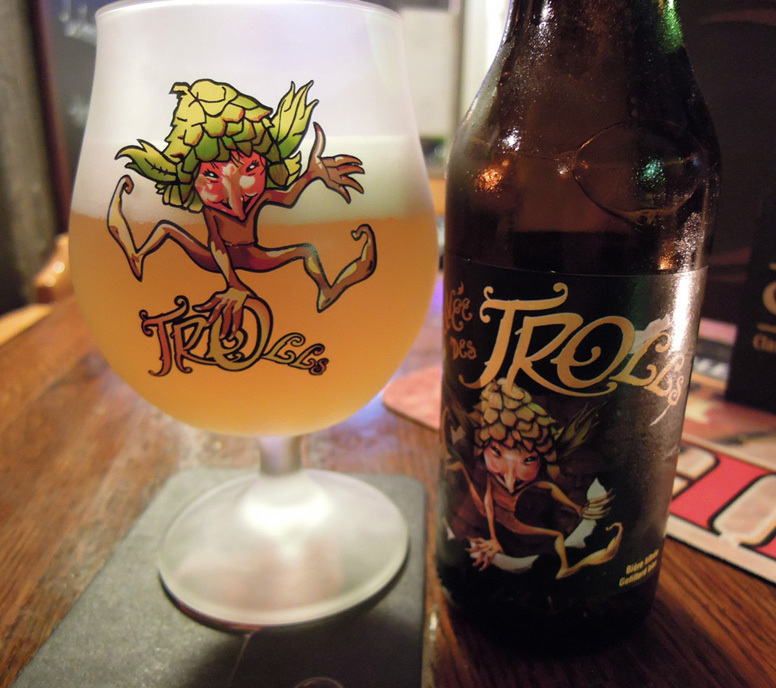 A rosy-faced leap-frogging troll is diagnostic for the genus, on bottle and in glass. Description: A sip should reveal a smooth mild fruit taste, with a bit of cantaloupe. Range: Rare in Belgium. No international records for the species. Status: Little data but population apparently stable. Field ID Marks: Look for a green bottle with a sky blue label at the base of its slender profile. Black, backward peering parrot is a helpful fieldmark for the species, on both glass and bottle. 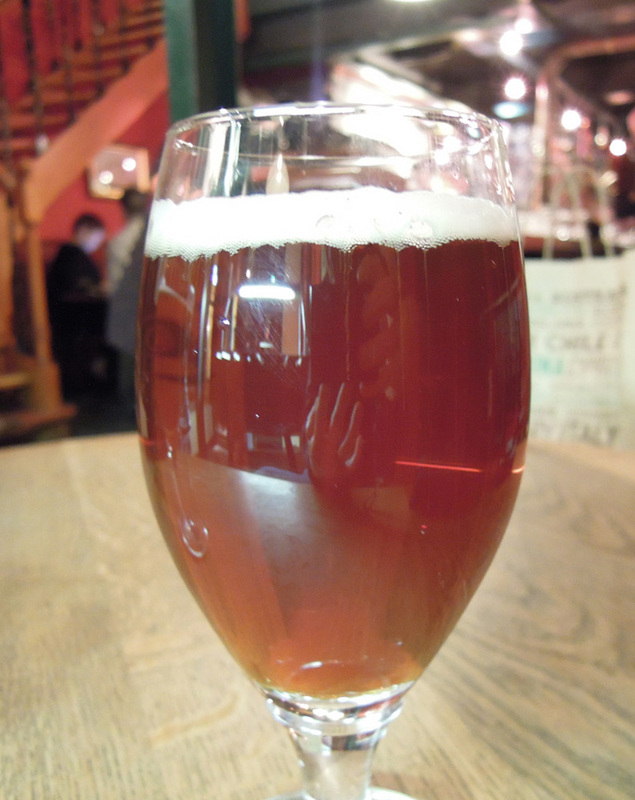 Description: This beer is smooth and positively delicious ale with a smidge of light fruit. 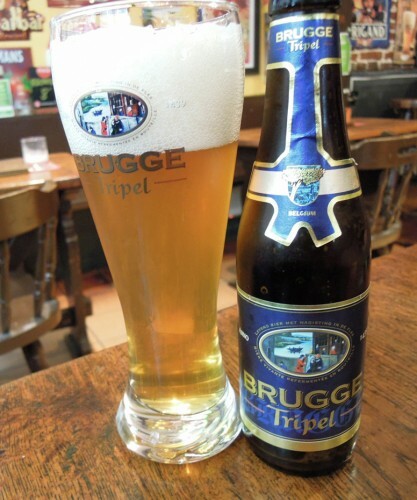 Range: Distributed widely throughout Belgium. Abundant in transportation centers, corner stores, and sporting venues. Uncommon elsewhere. Field ID Marks: In both glass and aluminum plumages, green body and gold horse are diagnostic. 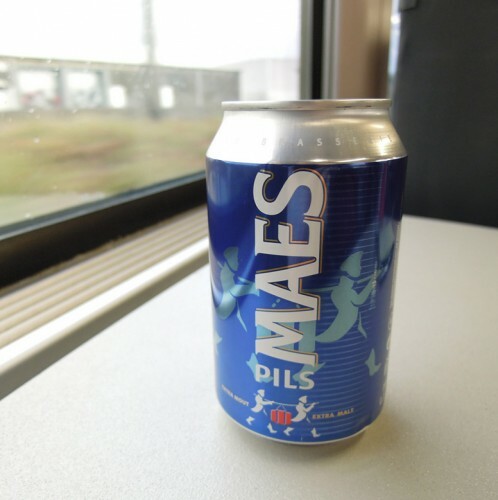 Description: Despite its pedestrian origins (train refreshment cart) taste was surprisingly refreshing: light malt with a hint of lime and honey. Range: International—mostly European—with smaller populations in North, Central, and South America, Middle East, Asia, and Australia. Status: Common in Belgium. 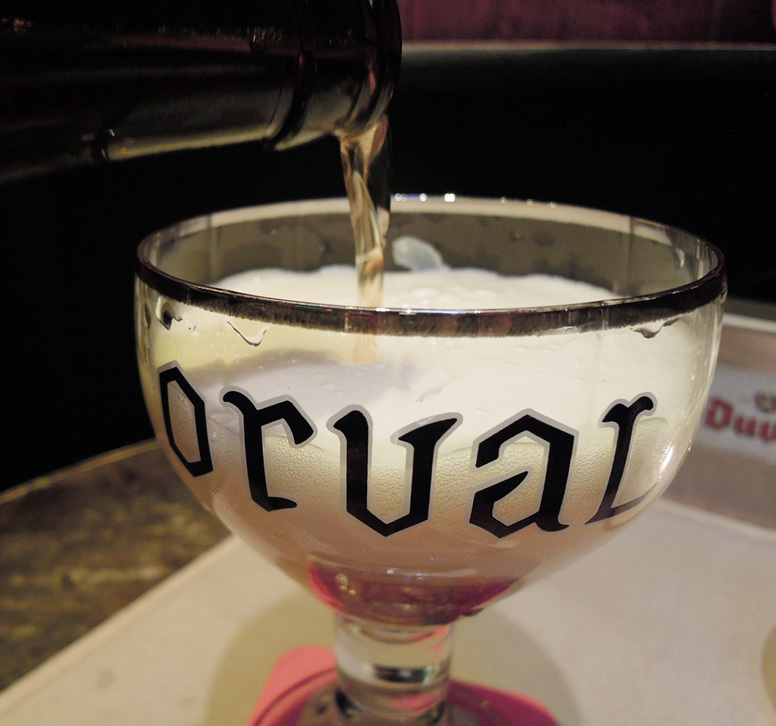 Uncommon to rare elsewhere, but has increased since sold to the larger Duvel Brewery in 2006. Field ID Marks: From a distance, look for a small brown bottle with a short, squat neck. If visible on bottle or glass, a red-capped elf donning a whispy white beard is diagnostic for the genus. 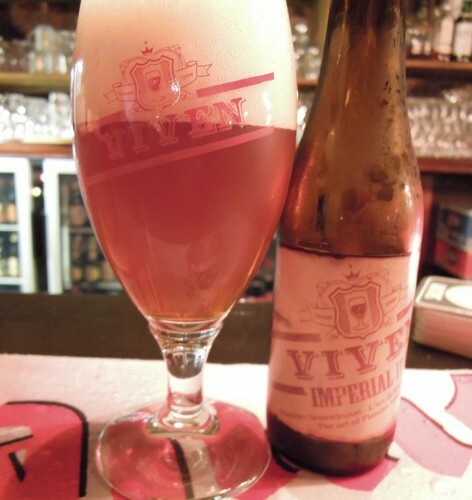 Description: Once in hand, expect a delightfully smooth and sweet beer, with hints of apricot. Range: Limited distribution. 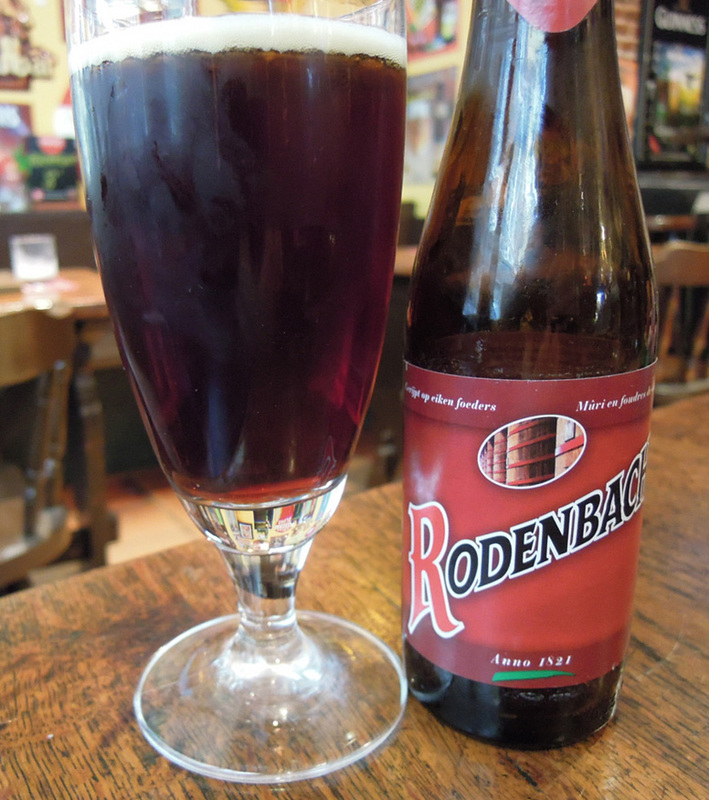 Locally abundant in Brugge, Belgium; uncommon to rare elsewhere. Status: Steady. 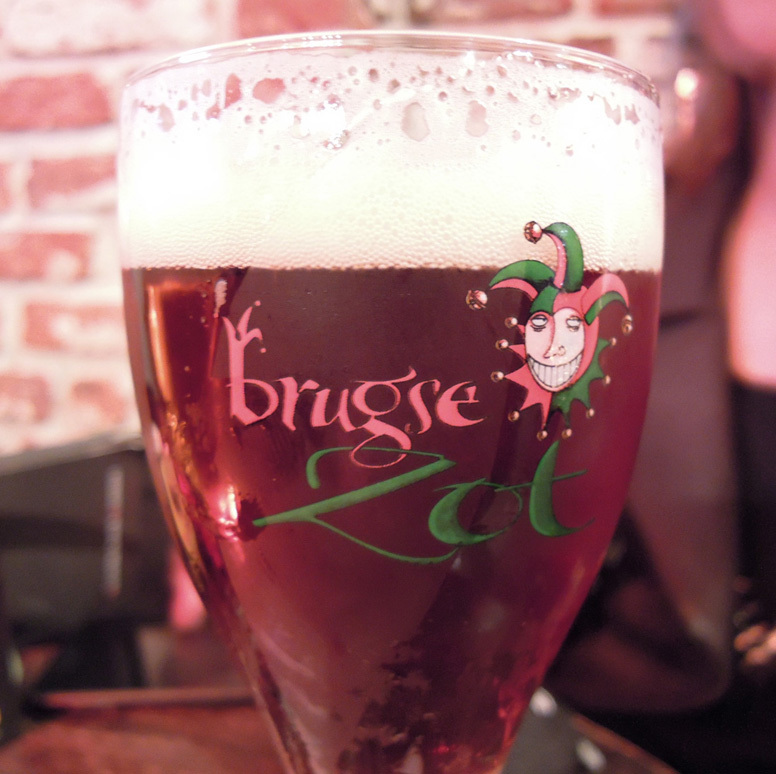 De Halve Maan is the last brewery within city limites in Brugge, a popular tourist destination. Field ID Marks: In glass or bottle, a jovial jester is a reliable fieldmark for this genus. Separated by the closely-related bruin by its consistently paler complexion. Description: Taste is clean, light, and refreshingly hoppy. Range: Locally abundant in Antwerp (where the population was first discovered in 1827). Common across Belgium and rare internationally. Status: Population large and stable. Field ID Marks: Most frequently encountered in draught, where a relatively low and wide profile is helpful. Bold white lettering will show well against its greenish brown body. Description: Despite its abundant popularity, taste is flat and relatively tasteless. Range: Limited distribution. 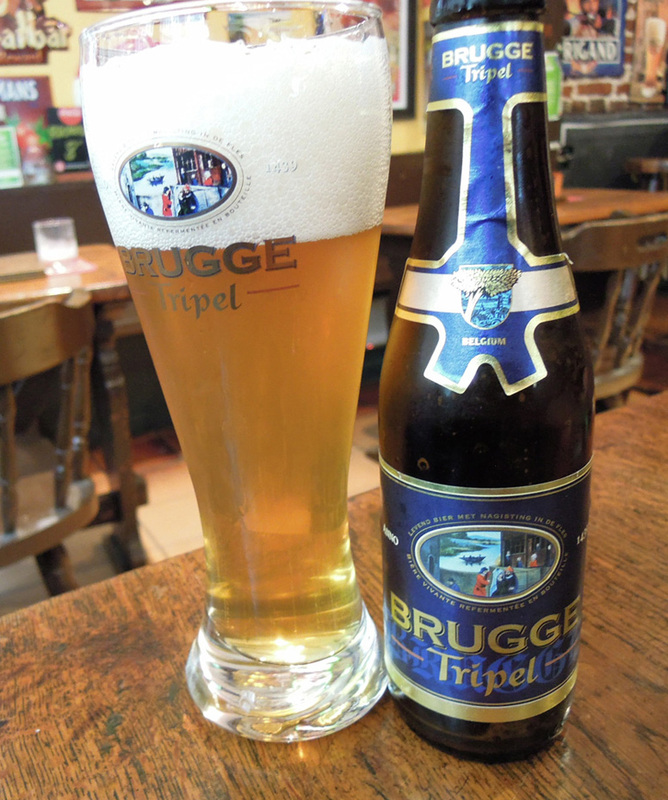 Locally abundant in Brugges; uncommon to rare elsewhere. Status: Steady. Population sustained by tourists seeking a taste of the only brewery in the popular destination of Brugge. Field ID Marks: A jovial jester is a reliable fieldmark for this genus, on bottle or pint glass. Look for a light brown plumage, darker than the closely-related blond, though the two should be best separated in good light or side-by-side. Description: The beer is smooth with little aftertaste. Unfortunately, this smoothness also leaves the beer a little lackluster. Range: Uncommon to common in Belgium, rare elsewhere. Status: Small but stable population. Field ID Marks: Amber brown body with thin white head detectable from medium range. Unmistakable in intended glass, a dramatic tall hourglass with robust wooden handle. 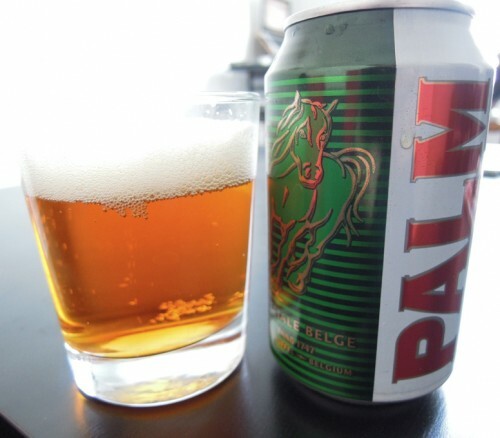 Description: This amber beer tastes almost as if it has been sweetened with a pinch of candy sugar, but overall the impression is flat and aftertaste metallic. Range: Abundant in Belgium. Uncommon elsewhere. Status: Steady population is maintained by one of the largest breweries in Belgium. Field ID Marks: In the field, look for a brown bottle with a subdued red label. 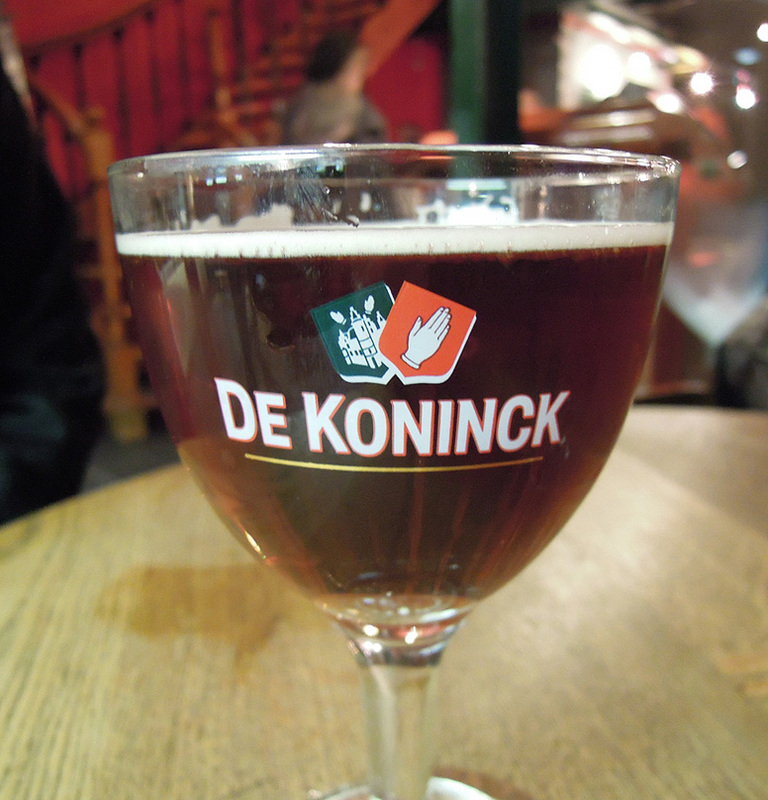 Reddish brown coloration apparent in glass, which is plain in shape and unadorned. Description: Strong sour cherry smell with an acidic fruit taste, owed to being 1/4 oak-aged by volume. Range: Uncommon in Belgium. Rare in Europe. Scattered international records. Status: Population small by stable; sustained by one of the largest breweries in Belgium. Field ID Marks: As a distance, subtle brown label blends with color of bottle; orange horizontal demarcation may be visible in ideal conditions. 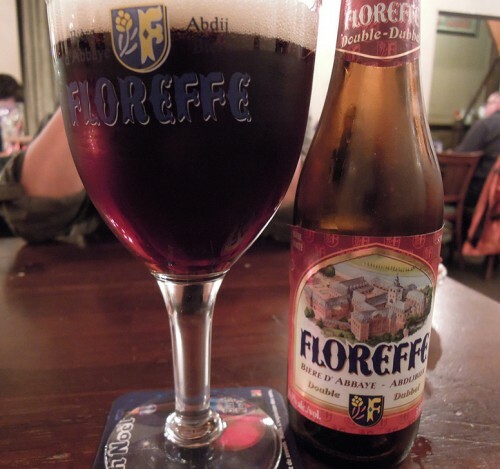 Description: Despite its brown coloration, this malty species tastes like a red beer with a bit of raspberry. Range: Widespread and common in Belgium. Locally uncommon to rare internationally. Field ID Marks: The specked eggshell bottle should allow most to identify this bottle to genus, even from a distance. At closer range, a large pink elephant—largest in its genus—is a helpful identification tip. Pictured is the species in draught plumage, exceedingly rare to find outside of Delirium Café in Brussels. Description: This dark beer starts slightly sour but completes smoothly with a taste of barley. Range: Rare in Belgium. Only a handful of records outside Belgium borders. Field ID Marks: Species is difficult to identify from distance but short greenish bottle with curvaceous neck can help distinguish it from other species. Glass is tall with a long, thin stem. Dark body when poured. 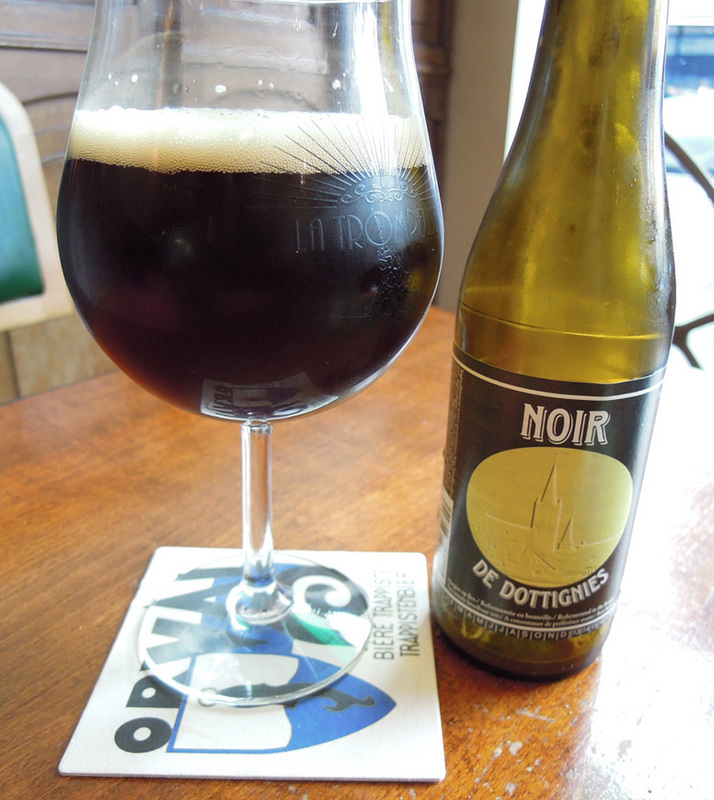 Description: This dark ale is a surprise to drink: flat, acrid, sour apple. Not a pleasure. 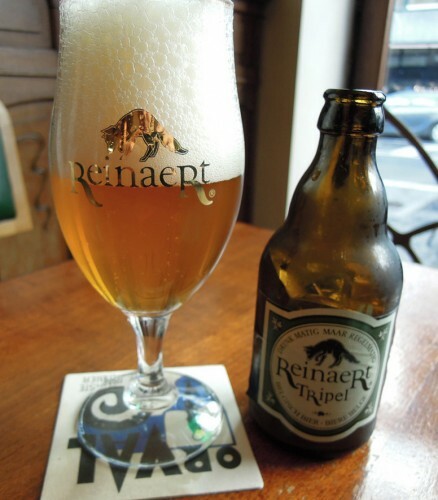 Range: Locally uncommon in Belgium. Spotty distribution throughout Europe, North America, and East Asia. Status: Stable in Belgium. Increasing elsewhere. Field ID Marks: Green bottle is a helpful identification mark in the field. Label is black, much like the complexion of the species when poured. 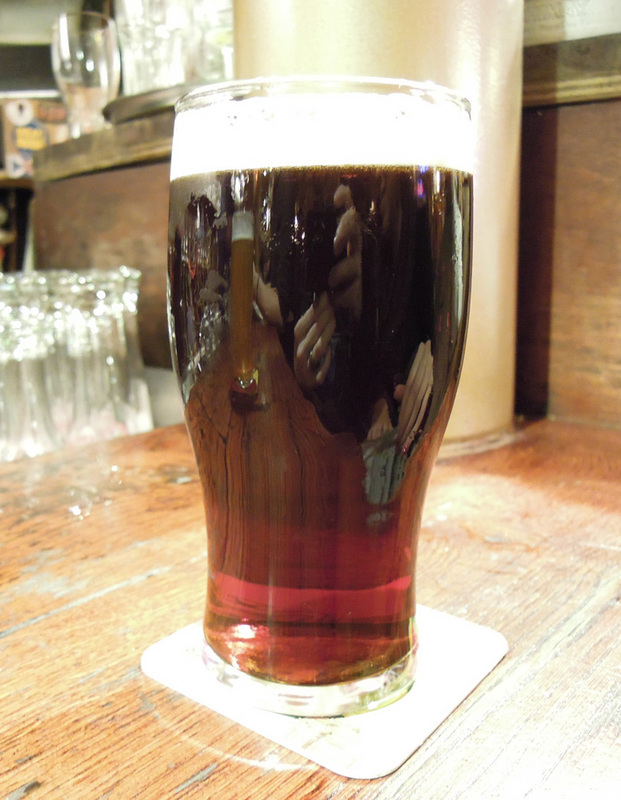 Description: This strong dark ale with please the tongue with a hint of bitter chocolate and a smooth finish. 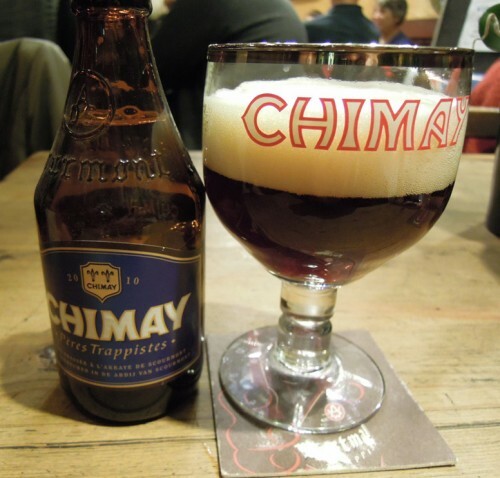 This diverse family is not grouped by color, taste or style, but by a common supervisor: Trappist monks. The populations of all of these species are from one of eight Trappist monasteries (seven in Belgium, one in The Netherlands). 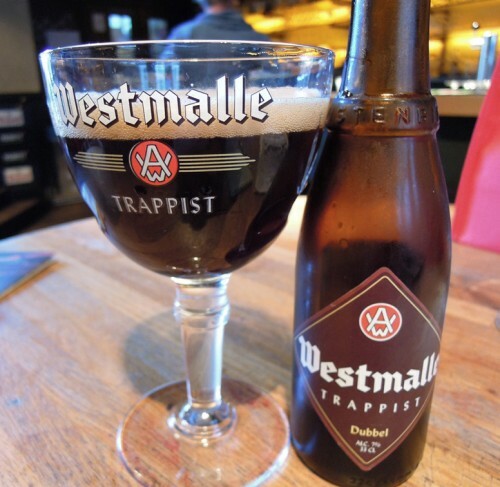 Trappist beers must be brewed in a Trappist monastery where any profits beyond what is needed to maintain the monastery and the clergy is donated to charity. Range: Uncommon to rare in Belgium. 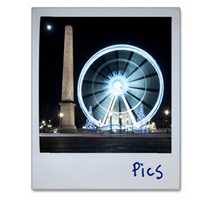 Scarce in Europe. No reported sightings outside the continent, but vagrancy is possible. Field ID Marks: Bottle is brown and medium build. Tan label with a black wave at the bottom is a helpful field mark from a distance. In alternate plumage, look for a red wave and a plentiful, frothy head. Description: As for taste, expect a hint of fruit with a slightly metallic aftertaste. Range: Widespread and common in Belgium. Range has expanded to other parts of the world, but remains rare. Field ID Marks: The tall brown bottle will confuse the amateur beer hunter, but the diamond-shape label is indicative, and circular red label at top diagnostic, of this respected genus. 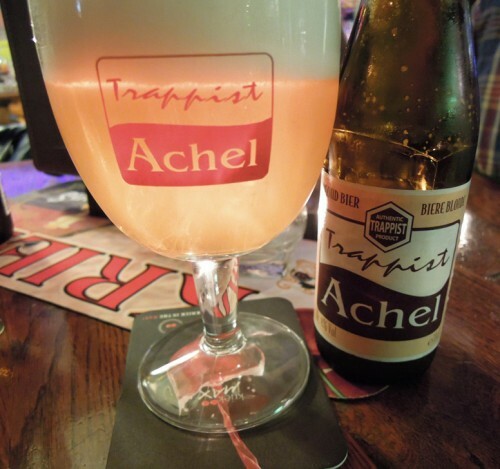 Description: In glass, expect smooth, plentiful head, taste of apricot and honey, and a smidge of bitterness in a prolonged aftertaste. Range: Common in Belgium. Rare to uncommon elsewhere. 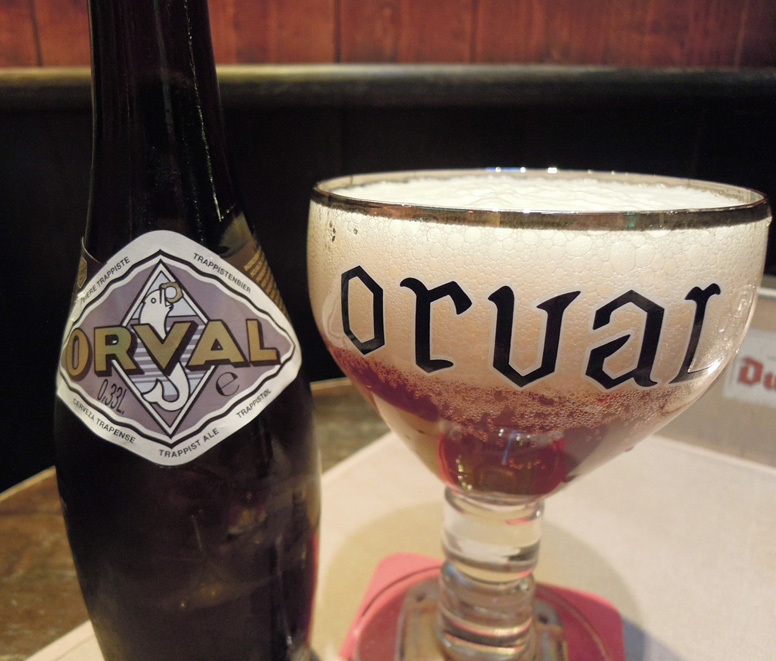 Status: Population, established in 1931 to support the rebuilding of the Orval Abbey, is steady throughout its range. Field ID Marks: The plain brown bottle can be separated from similar species by a white label located low on the neck. 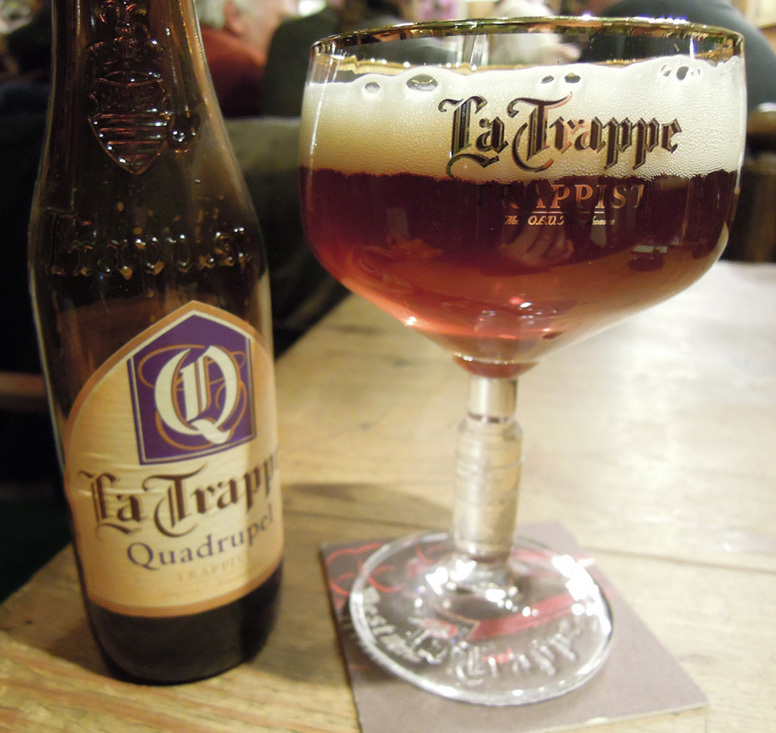 Glass has a wide mouth but tapers quickly to its strong base. Description: The peachy hops of this brew will please the taste buds with a pinch of spiced apple. Range: Locally rare. Population centered at St Sixtus Monastery in western Belgium. Species population is limited to a handful of locations in urban centers. Status: Population of genus is steady. 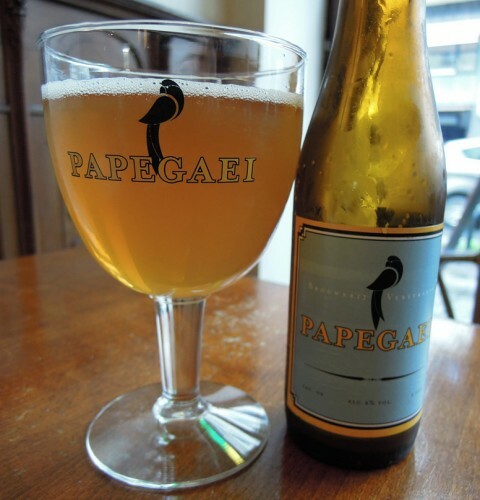 This species is considered accidental throughout its former range with only a handful of records annually, primarily in Belgium. Field ID Marks: Look for a brown bottle with faded red label. Jovial, and likely inebriated, monk is diagnostic for the genus. Beware that species this old may wear a light grayish coat of dust for camouflage. Smooth dark brown coloration in glass with no trace of a head. Description: For those lucky few whom can get close enough for a sip, expect a syrupy texture with no carbonation. The taste of light molasses and licorice will please the tongue. Range: Population centered in the Netherlands—unique for this family. Uncommon in Belgium, rare elsewhere. Field ID Marks: Brown bottle is tall and slender from a distance; label is yellowish and tapers to a subtle point. Glass is wide at the top; at closer range, decorative gold writing may be distinctive against the plentiful head. 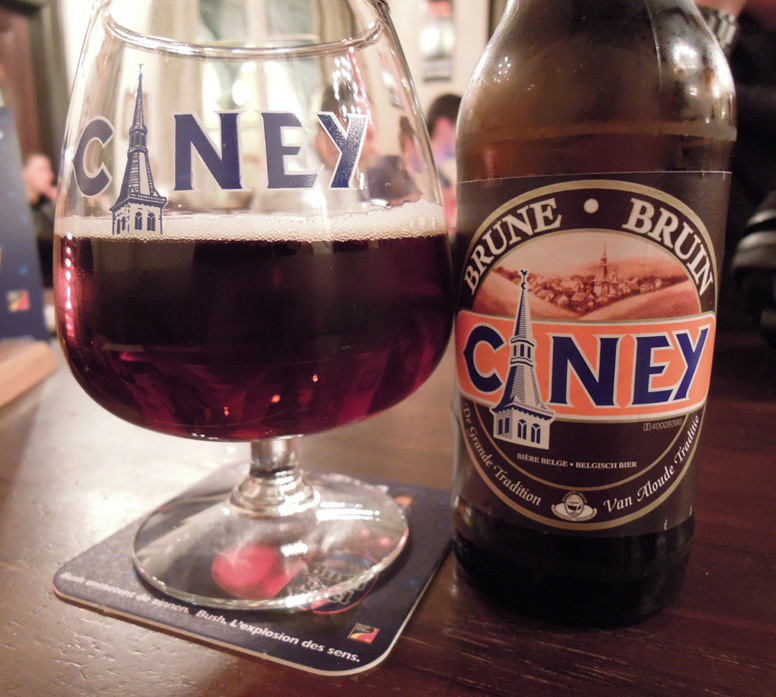 Description: Taste is smooth and malty (what can I say, this is the last of multiple beers this evening). Range: Abundant in Belgium. Common in Europe. Uncommon worldwide. Status: Steady, population increasing internationally. Field ID Marks: Short and brown in bottle form, with a tapered—almost concave—neck. In glass, look for a wide mouth, straight sides, and bold white logo outlined in red. Description: The smooth taste is fruit neutral with a hint of chocolate. Range: Locally common in Belgium. Rare to uncommon elsewhere. Status: After being established in 1836, it took two decades before this population was discovered and quickly increased in 1921. Population remains steady throughout its range. Field ID Marks: The tall, thin profile will do little to remove this species from a mixed flock of brown bottles, but the diamond shaped label is indicative of the genus, red label diagnostic. In glass, look for a wide mouth tapering softly to a rounded bottom with a dark complexion. Description: Tasting notes for this drinkable species include molasses and subtle fruit. Worth chasing. Typified by somewhat strong, brown beers with a note of fruitiness, this family of beer was split by taxonomists from the Trappidae family as the population grew beyond the Trappist monasteries after World War II. “Abbey” or “Abbey-style” are helpful identification marks for this family in the field. Range: Established in 1916, the population is based in French-speaking Belgium, but the species remains uncommon throughout the country. Limited records outside the country. Field ID Marks: Bottle an unremarkable brown with red labels on the base and neck. Glass is wide with a reddish-brown complexion. Blue/yellow logo is a helpful field mark, but requires closer study. Description: Supple apple and raisin, but metallic finish may surprise the more timid taste buds. A family of strong pale ales that have a common ancestor: Westmalle Trappist. 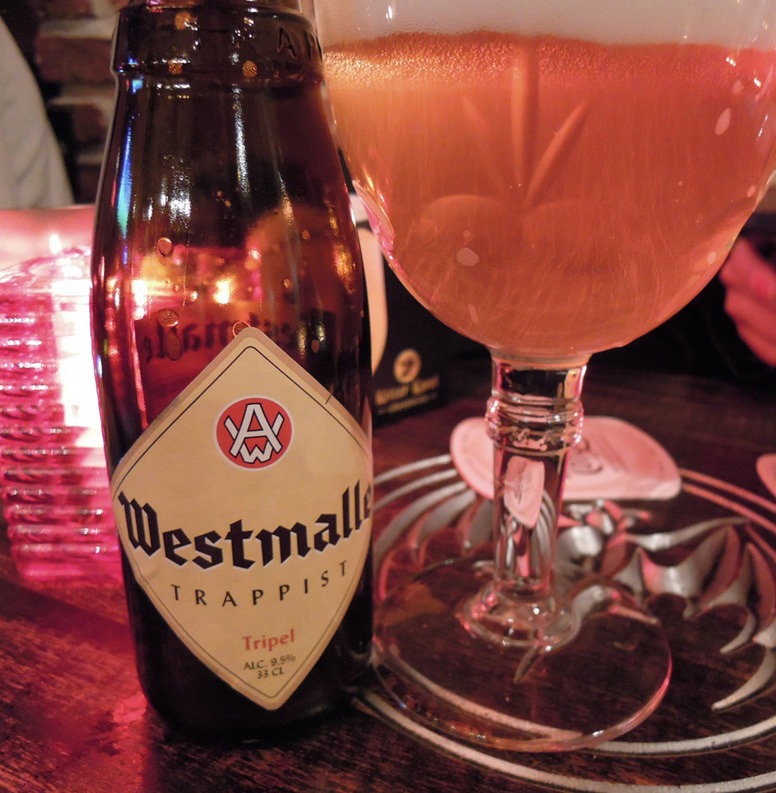 Some taxonomists still lump species like Westmalle Tripel and St Bernardus Tripel with the Trappidae Family, as they’ve been done in this guide. 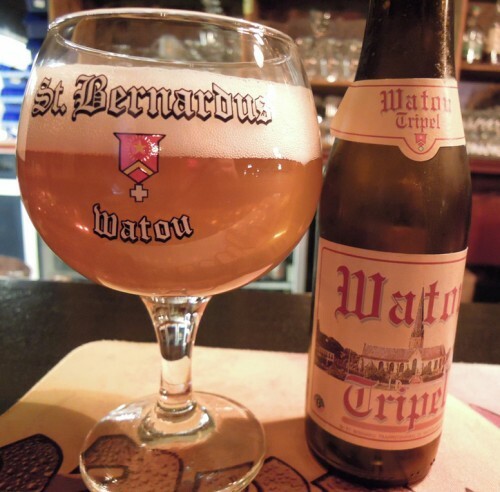 Their more secular counterparts—which have proliferated throughout Belgium since World War II—are introduced below, from light to dark. Look for “Abbey” or “Abbey-style” in the field. Range: While old (discovered in 1882), this small population has not expanded beyond the borders of Beligum. Uncommon. Status: Steady, but poised to increased (hired its first sales staff in 2010). Field ID Marks: Brown bottle has an iridescent golden neck and black base with a clear golden band in all plumages. The species is pictured in draught plumage, rare to find even in its home range. Description: Smooth, almost savory, flavors of caramel cookie await lucky hunters. Status: Steady, supported by the influx of tourists to De Halve Maan brewery, the last brewery within Brugge. Field ID Marks: Look for a tall brown bottle with highlighted with blue and gold on its neck and base. Equal height in glass with a wide top and narrower bottom: may be difficult to separate from similar species from a distance. Description: Wheaty flavor with a hint of honey, but not terribly smooth. Range: Locally rare in Belgium. Records from outside the country are few. Status: Limited observations suggest population is stable, but vulnerable. Field ID Marks: Short brown bottle and green label my be visible from a distance. A poised fox—black on bottle, gold on glass—is diagnostic. 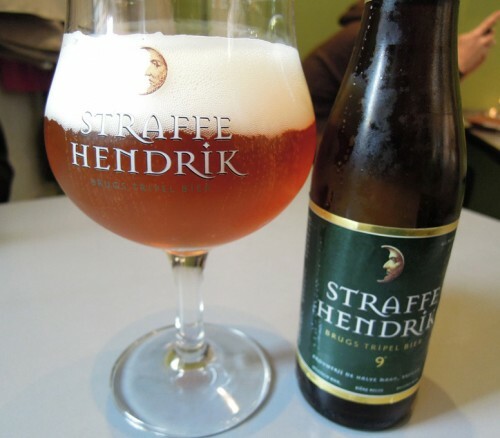 Description: Taste is smooth with strong apricot and subtle peach. Range: Common in Belgium. Uncommon to rare in Europe. Rare outside Europe but small established populations exist. Field ID Marks: Relatively nondescript in bottle, with tan label contrasting little with brown body. Glass is bowl-like with bold typeface. Description: Taste is a clean mix of citrus and peachy that lingers pleasantly on the palette. Range: Genus (Maredsousii) is common in Belgium, rare to uncommon worldwide. Species (2006) is limited to small, isolated populations. Status: Population of genus is stable, perhaps increasing internationally. Population of this species is declining. Field ID Marks: When encountered in the wild, look for a short, squat profile in bottle; bulbous in glass with a honey-brown complexion. 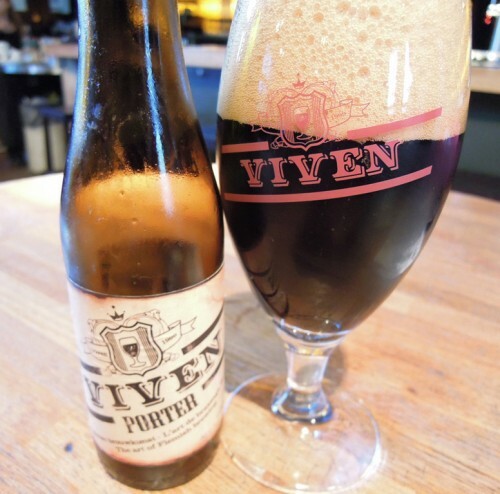 Description: Smooth on the palette with the subtle taste of a porter taste, with a dash of raspberry. Finishes light with a hint of fennel licorice. Range: Locally uncommon in Brugges, Belgium. Uncommon to rare elsewhere. Status: Steady. 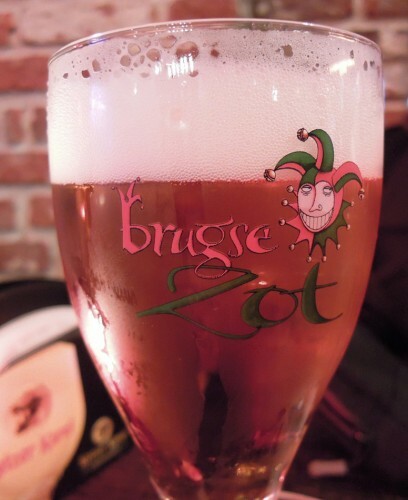 Population sustained by tourists visiting the only brewery in popular Brugges. Field ID Marks: Gold-trimmed green label separate this species from other brown bottles. Stern, left-facing half-moon is diagnostic for the species, on bottle and in glass. Description: Expect less fruity hops with a frothy head. Populations for the following species are established in Belgium (and therefore countable to listers) but belong to families found outside Belgian borders, namely from the U.K. and Germany. Range: Genus has the highest density in Europe but small populations are established on every continent, minus Antarctica. Field ID Marks: Short, brown bottle with a squat neck. A bearded elf with a red cap is diagnostic for the genus. Note: this species is pictured in plain plumage during the draught season. Hard to find but worth the search. 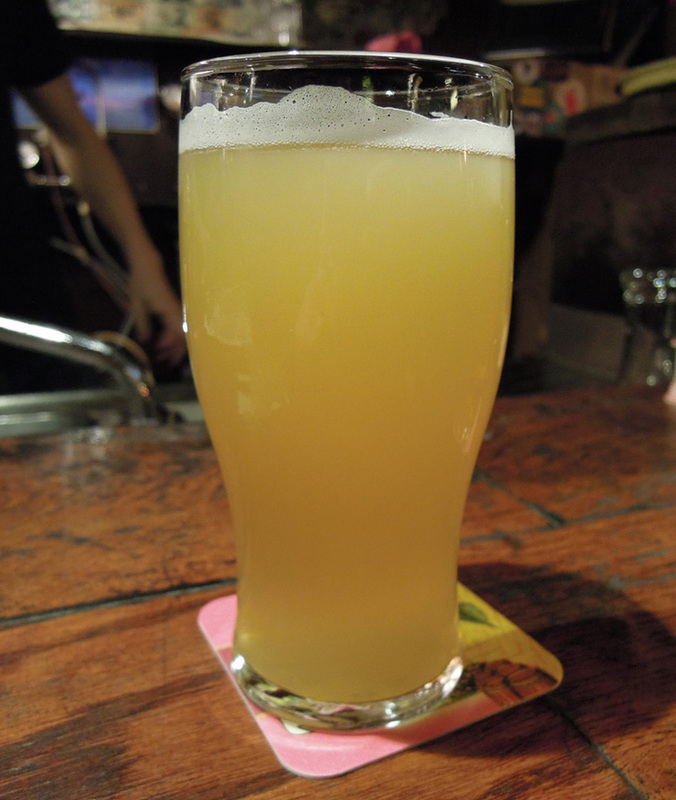 Description: Seekers will be delighted with a hoppy, almost wheaty brew: smooth with tastes of honeycomb and lemon. Range: Rare and local in the Flemish region of Belgium. No international records. Status: The genus is relatively young (1999) but new species have been discovered as recently as 2010. Population poised to increase. Field ID Marks: Similar to Viven Porter in bottle, but in glass plumage is a much lighter chestnut brown. Best distinguished in the bottle by its red label details. Description: This Belgian interpretation of a North American staple is hoppy with a nice finish of grapefruit. Field ID Marks: Bottle relatively non-descript, save a tan label on its body with black details. In glass, red writing contrasts greatly with its chocolate brown plumage. Description: Those lucky enough to taste it will notice a flavorful porter with strong tastes of coffee and dark chocolate. Range: Abundant in Belgium, especially in population pockets that demand inexpensive beer with relatively high alcohol content. Status: Stable. 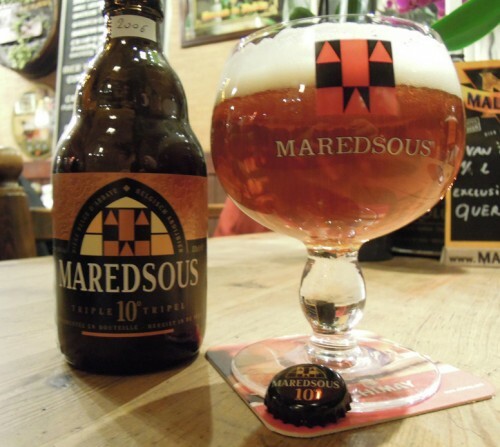 Considered a nuisance species, though poses little threat to native Belgian beers with flavor. Field ID Marks: Look for a blue can with bold white lettering, then move the other direction. Description: Strong malt flavor with little to no redeeming qualities. Stronger than Jupiler. Should be avoided. Range: Widespread and uncommon in Belgium; accidental outside country borders. Locally common at Delirium Café in Brussels. Field ID Marks: This species is vibrantly colored in bottle and could be mistaken for superficially-similar fruit sodas. In glass, expect a light golden coloration with small to medium head. Description: A refreshing, low-alcohol brew with strong apple flavor and a hint of honey rose. We worked with local beerwatching experts to bring you a list of favorite bars and pubs where you can expect to tally quite a few different species. I can see I’m going to need to work on my life list a little! I kept careful notes on all the birds I saw in Europe, but the about the only beer I can remember by name was Nastro Azzurro, mainly because it was so flipping awful. Hi Russell! We wanted to string together these three cities with one common thread: creating a beer field guide was a good reason to keep a list. Trust me, after this many beers, it becomes harder to remember the beers you’ve consumed!